Leuze Electronic BCL 90 series has a protection rating of IP 65. These bar code readers have been designed for long distance readings. It is available with a swivel mirror and an omni scanner. This series also has optional heating for outdoor applications and code fragment technology for damaged bar codes. This can be networked with other BCL 90s by using the MA90. 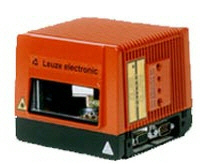 Purchase your Leuze BCL 90 Barcode Reader with Integrated Decoder today!